John Wayne Vannoy, 81years of age, passed away Monday April 16, 2018 at UH-Geauga Regional Medical Center in Claridon Township, Ohio. Born in Boone Township, North Carolina on July 16, 1936, he was the son of the late Richard and Margarette (Baird) Vannoy. 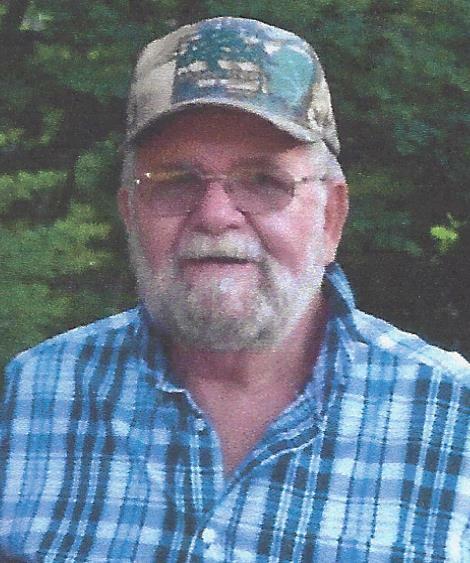 A resident of Auburn Township for over 55 years, John had been employed as a truck driver at Chester Sand & Gravel, and then at Morabito Trucking where he retired in 2003 after 10 years of service. Monday mornings could always find John at the Middlefield Flea Market where his entrepreneurship of buying and selling was well known, especially to his family. Each year at the annual open house held at Lakeside Sand & Gravel he would operate the antique equipment for attendees to enjoy. John was a member of the Antique Truck Association, an avid NASCAR fan, yet watching his grandchildren play sports and being with his family were the times he truly enjoyed most. On December 13, 1961, he married his beloved wife Marilyn R. (Pauli) Vannoy who survives at their home. Also surviving are his devoted children Dwayne (Danielle) Vannoy of Mantua, Richard (Sherry) Vannoy of Hiram, James Vannoy of Auburn and Kimberly ( Brian) Dobay of Troy Township; his dear siblings Charles Vannoy and Jane Kolesar both of North Carolina; 8 loving grandchildren and 3 great-grandchildren. He was preceded in death by his loving son Gregory Vannoy in 2006. Calling hours will be Sunday April 22, 2018 at the Green Family Funeral Home & Crematory Service, 4668 Pioneer Trail at the corner of St. Rt. 44, Mantua, Ohio 44255 from 2:00 P.M.-4:00 P.M. Final resting place will be at Shadyside Cemetery in Auburn Township for family only. . “Remember…If You Need Me-I’ll Call You”.